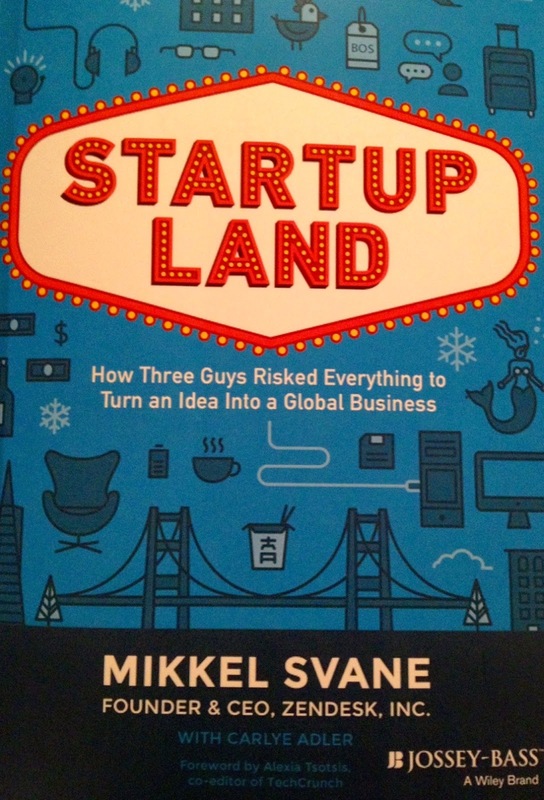 I was sent a review copy of "Startup Land: How Three Guys Risked Everything to Turn an Idea Into a Global Business," because the publicist thought the book was a good fit for The Global Small Business Blog. She is right. How could anyone not get something from "Startup Land" or do you not know who Mikkel Svane is and what he accomplished? Svane cofounded Zendesk -- software for better customer service -- in Copenhagen in 2007 with Morten Primdahl and Alexander Aghassipour. Today, Svane leads a global publicly traded company with customers in 150 countries and products and services that reach hundreds of millions of people. Talk about inventing disruptive technology that has inspired a whole new generation of customer-focused companies. So yes, there are many lessons in this book for you. Rather than focus on the chapter titles, I'll give you a listing of sub-titles because they are more telling and after each one I want you to ask yourself, "What did he do?" Svane gives a complete run-down of what the three cofounders did under each circumstance. One of my favorite parts in the book is at the end in A Few More Thoughts because Svane talks about how his story is such a small part of the story of Zendesk. He says, "The story of any startup is actually the story of its customers. It's about real-life relationships with people who bought what the company was selling." Whether you are an aspiring global entrepreneur or seasoned global small business owner, if you feel stuck and can't take another step forward without some help, pick up this book and read it. If you stumble again, re-read it for its how-to aspect -- how to build a great enduring global enterprise. Solutions can be found at every turn of the page. I'll make it easy for you. Go here to purchase. Oh, and the book is co-authored by Mikkel Svane and Carlye Adler who is an award-winning journalist and bestselling author.